An application designed to generate data for the construction of long Yagi antennas for vhf and UHF use. 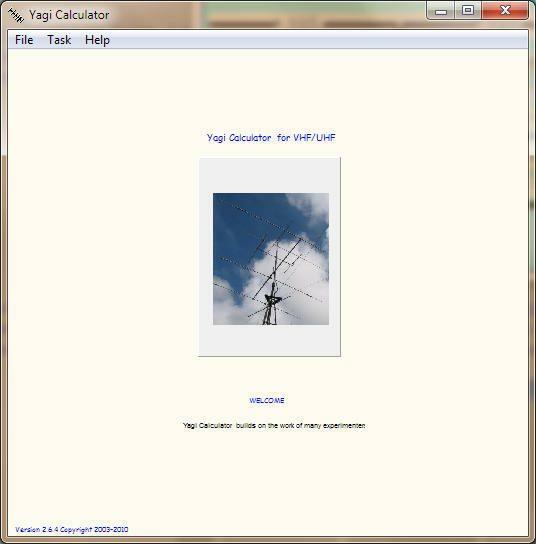 Yagi Calculator is a program build to produces dimensions for a DL6WU style long Yagi antenna. Long Yagi are commonly used from the 144MHz amateur band to the 2.4GHz band. The DL6WU Yagi is highly regarded as being easy to build with repeatable results, broad bandwidth and a useful pattern. Provision for entering the dimensions of an existing DL6WU antenna for optimization through an external program or to gather information on its gain, beamwidth etc.